When you think of Pontiac performance in the 1980s. Immediately the Trans Am comes to mind, then after that the Firebird. And perhaps next is the 2-seat Fiero. And then the 6000 STE and maybe the Grand Prix or the 2000 GT turbo. It’s a safe bet that the Phoenix never makes this mental list for a majority of people. The ultra-conservative rear-wheel drive Parisienne station wagon would seem to be more performance oriented than the lowly Phoenix to most car enthusiasts. And that would stand to reason since the Phoenix was Pontiac’s front-wheel drive version of the infamous GM X-car. In other words it was a rebadged Chevrolet Citation. The X-car was GM’s first foray into building a compact front-wheel drive car. There were a few hiccups in the form of recalls and some inferior quality control for the first few model years but all-in-all the X-car turned out to be a successful and profitable car that led the way for the avalanche of many more new GM front-wheel drive cars which arrived after it. Forgotten over the last few decades was how Pontiac offered a large array of different front-wheel drive performance cars during the 1980s. Pontiac realized by the early 1980s that most rear-wheel drive GM platforms were on GM’s extinction list so it quickly adapted and offered performance oriented front-wheel drive cars. Not only could these cars accelerate fast they could handle the tight turns with European sports car like precision. Pontiac’s first guinea pig was the front-wheel drive Phoenix which was first released for the 1980 model year. It wasn’t the typical econobox car since it offered besides the base model and a LJ model (luxury oriented model), the SJ trim package (not officially it’s own model but a sporty option package). The SJ trim package was available on both the 2-door formal roof coupe or the 4-door hatchback. The SJ had a very attractive two-tone paint and decal exterior scheme similar to the 1980 Firebird Formula, black trim pieces, twin sport mirrors, a front air dam and a standard rear decklid spoiler (only available with the 2-door). Unfortunately the standard 90 horsepower 2-bbl 2.5 liter 4-cylinder and optional 115 horsepower 2-bbl 2.8 liter V6 provided only adequate power. And the sporty exterior and interior decor of the Phoenix SJ couldn’t hide the fact that 13-inch wheels and tires were mandatory but at least they were wider (P205-70R13 was the tire size) than the other Phoenix models so road grip was good. 1981 Phoenix was just a carryover from 1980, and this included the SJ which was still only a sporty package and not its own model. The SJ package remained virtually unchanged which included its engine choices however the 2.5 liter 4-cylinder was down to 84 horsepower and the 2.8 liter V6 had dropped to 110 horsepower. 1982 would prove to be the turning point. The Phoenix SJ would finally become its own model. All the goodies that came with the 1980-1981 SJ package were standard on the 1981 SJ, with one big exception, the SJ would now come standard with a new high-performance version of the 2.8 liter V6 – the LH7 (2-bbl) 2.8 liter High Output (H.O.) V6. It produced 135 horsepower and 145 lb-ft of torque. This was 23 horsepower more than the standard (now 112 horsepower) 2-bbl 2.8 liter V6 that was the best performing engine on the 1980-1981 SJ. Harnessing 135 horsepower back in 1982 was truly awesome especially when you consider the Phoenix SJ coupe weighed in at only 2,562 lbs and the 4-door hatchback at 2,612 lbs. This equated to some very quick performance for the SJ especially the lighter coupe. The SJ came standard with a floor mounted 4-speed manual transmission. Optional was a 3-speed automatic transmission. All of this came standard with an attractive interior with bucket seats, a Trans Am sourced steering wheel, and a modern looking dashboard layout that had a multitude of round sporty gauges just like the 1982 Pontiac Grand Prix. Handling was also great for its day even though 13-inch wheels and tires were still standard, the suspension made the best use of the SJ’s grippy 205-70R13 performance tires. Improvements that year to the SJ’s suspension had come in the form of new front and rear anti-sway bars and new European inspired McPherson front struts just like the all-new 1982 Trans Am. All of this Pontiac bragged about in their sales literature. What Pontiac didn’t mention was the 1982 Phoenix SJ if ordered correctly could out accelerate the fastest 1982 Trans Am that Pontiac offered. The Trans Am was Pontiac’s flagship sports car so it was understandable Pontiac didn’t want to let the cat out of the bag. Pontiac’s hottest 1982 Trans Am was equipped with the 165 horsepower LU5 Cross-Fire fuel injected 5.0 liter V8 was good on the average for high-8 second 0-60 mph times when equipped with the optional 3.23 rear axle ratio. The LU5 Trans Am could only be equipped with a 3-speed automatic transmission. Now here’s where it gets interesting, if an 1982 SJ buyer chose the lighter coupe and opted for the standard 4-speed manual 0-60 mph was obtainable in mid-8 seconds with an experienced driver at the helm. The end result was the 1982 Phoenix SJ was potentially quicker than the 1982 Trans Am. It’s important to remember that this was back in the day when most cars took more than 10 seconds to do this task. Unfortunately 99.9% of potential performance car buyers didn’t know hence only 995 SJ coupes and 268 SJ 4-door hatchbacks were produced for 1982. The 4-door hatchback SJ was attractive however it couldn’t hold a candle to the 2-door formal roof coupe SJ which had a sporty and muscle car type look. 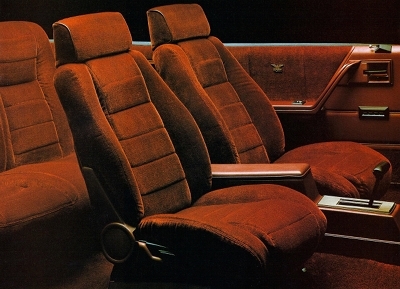 The SJ coupe looked like a smaller version of the 1978-1981 Pontiac Grand Am. And the SJ coupe though only 182 inches long still had a big 13.2 cubic inch trunk and could fit 4 adults fairly comfortably for a compact car. For 1983, the Phoenix SJ was back again. Pontiac gave the Phoenix SJ a slight front and rear styling refresh. The two-tone paint scheme was gone and replaced with a more European one exterior color scheme accented by black-out trim everywhere. Fortunately all the main performance goodies carried over from 1982. The only exception was the SJ finally received standard stylish 14-inch aluminum wheels with a set of P195-70R14 performance tires. Even though these wheels helped with the SJ’s handling they gave the SJ the look of being a true performance car and no longer a compact car trying to look like a performance car. 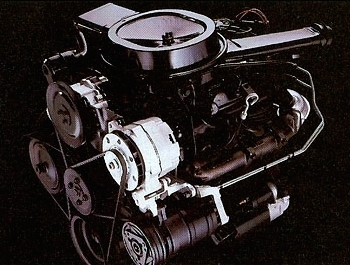 The 2-bbl 2.8 liter H.O. was also back and continued to produce 135 horsepower and 145 lb-ft of torque. With the 4-speed manual equipped coupe 0-60 mph was still obtainable in mid-8 seconds. The LU5 1983 Trans Am had a power bump of 10 horsepower and 10 lb-ft of torque and a new more precise shifting 4-speed automatic that allowed the LU5 Trans Am mid-8 second 0-60 mph times. This meant the Phoenix SJ had lost its performance edge over the Trans Am. And by the end of the 1983 model year the Trans Am had a new 190 horsepower (240 lb-ft of torque) L69 V8 which was only equipped with a 5-speed manual transmission shaving another full second off its 0-60 mph causing a further performance gap between the SJ and the Trans Am. It really didn’t matter because the SJ was still one of the fastest American new cars one could purchase in 1983. However this fact still didn’t prevent the slight SJ sales slide to only 1,025 units (853 SJ 2-door coupes and 172 SJ 4-door hatchbacks) produced for 1983. 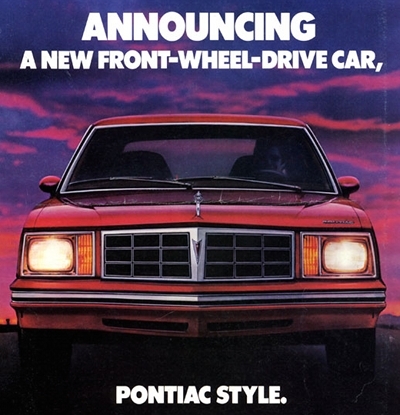 1984 would be the last year for the Phoenix, however Pontiac didn’t throw in the towel concerning Phoenix performance. 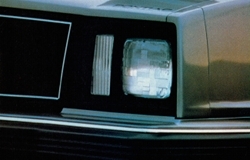 It ditched the "SJ" name which was more 1970s Pontiac in nature and replaced it with "SE" which was used by many other Pontiac performance oriented models during the 1980s. Pontiac kept the Phoenix SE simple, it still had everything from the standard bucket seats to the 14-inch aluminum wheels but the SE was now only available in the 2-door coupe. The SE continued the European one color exterior paint scheme accented only by blackout trim. In truth the Phoenix SE looked the part, it appeared much more modern and up-to-date than its 5-years. The sad news was the Phoenix SE would finish off the year with only 701 sales. The 2.8 liter H.O. V6 was back unchanged from the previous two model years. Though the motor was still a powerhouse, other front-wheel drive Pontiacs were stealing the Phoenix SE’s thunder. The sub-compact 1984 Pontiac 2000 SE had a new turbo 2.0 liter 4-cylinder motor which produced 150 horsepower and the 1984 Pontiac 6000 STE was standard with the 135 horsepower 2.8 liter H.O. V6. The STE was Pontiac’s European touring 4-door sedan which had been first released for 1983 equipped with the same 2.8 liter H.O. V6 that powered the Phoenix SE. The STE was a monumental success for Pontiac. The Phoenix SE when equipped with the standard 4-speed manual could hit 0-60 mph in the mid-8 second range. 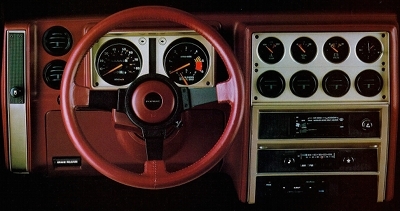 Like previous 1982-1983 Phoenix SJs, the 3-speed automatic was optional with the Phoenix SE. By the 1980s the American auto industry was undergoing supersonic speed changes. Even though the 1984 Phoenix SE looked the performance part and still had plenty of performance punch to beat most of its competition, Pontiac had bigger fish to fry. The X-car which at in its infancy had its share of problems, still proved to be the proof of concept car that GM needed at the time. It also was a big sales success. GM sold 1.6 million 1980-1985 Chevrolet Citations alone not to mention the many Phoenix and other GM X-cars that were sold during this time period. Pontiac for 1985 would replace the Phoenix with the new N-body Grand Am which would be a big success for Pontiac and a SE version of the Grand Am would stay around for many years providing fast acceleration and great handling for Pontiac customers. And many more performance oriented front-wheel drive cars would be released by Pontiac after the Phoenix SJ/SE. The Phoenix SJ/SE proved Pontiac could produce a good looking and performance oriented front-wheel drive car and it was exactly the right car to help Pontiac during the difficult and fast transition from rear-wheel to front-wheel drive cars. The 1982-1984 Phoenix SJ/SE was Pontiac’s first front-wheel drive muscle car.